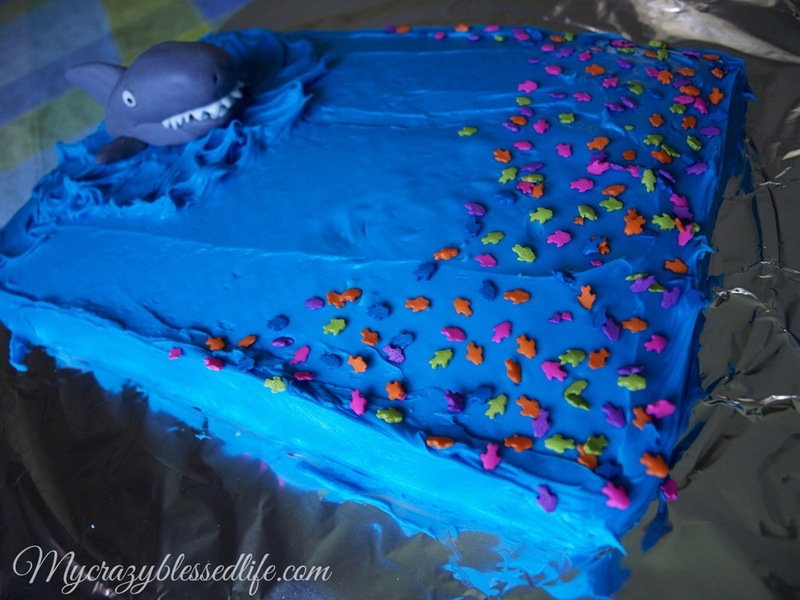 Shark Cake | My Crazy Blessed Life! 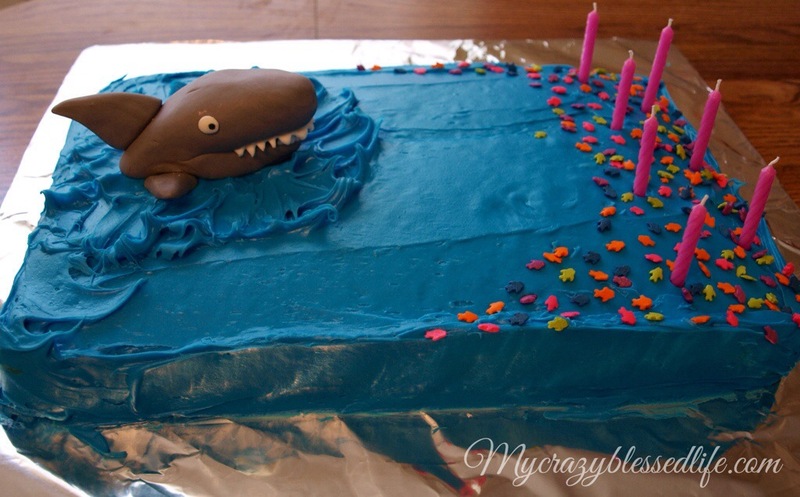 This year Katie helped me bake the cake, choose the design and help decorate. She loved doing it and I must say I had a blast baking and laughing with my girl all morning. I am so blessed to be this little girl’s momma. 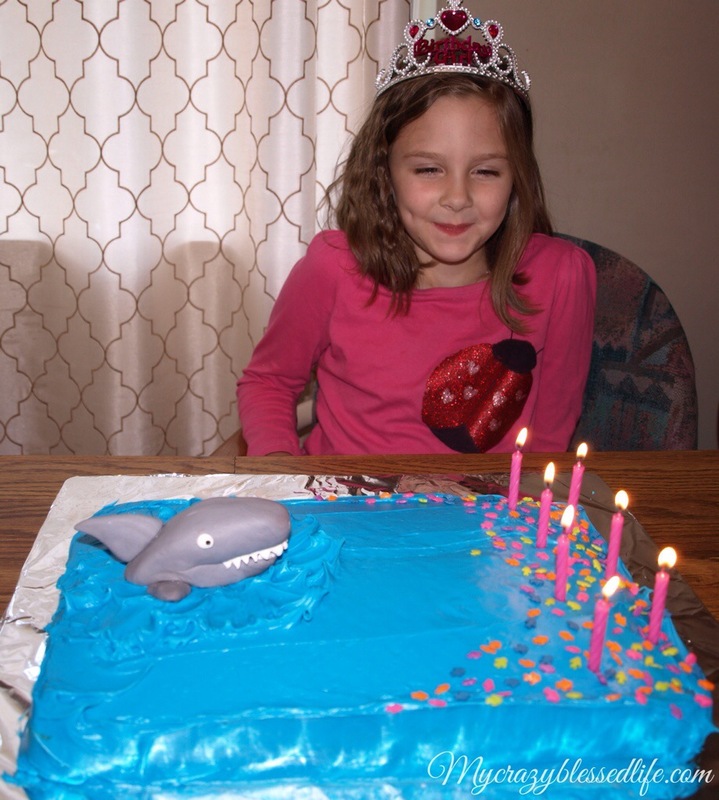 She loved that Shark Week coincides with her birthday this year and wanted a shark cake. She explained that she already had a “pretty cake” at her party and needed a fun cake on her birthday 🙂 best of both worlds for my girl! She was so proud of our creation and we enjoyed a quiet family night being grateful for our joyful girl!